How do you know if what you’re buying is organic? Organic agricultural methods avoid harmful chemicals, fertilizers, pesticides, herbicides, toxic sludge, irradiation, or other production methods that are harmful to the environment. Additionally, organic agriculture does not allow for growing of genetically modified organisms (GMOs). Organic agriculture is monitored in the United States by the USDA National Organic Program, which sets strict standards for farming, production and labeling of organic foods. 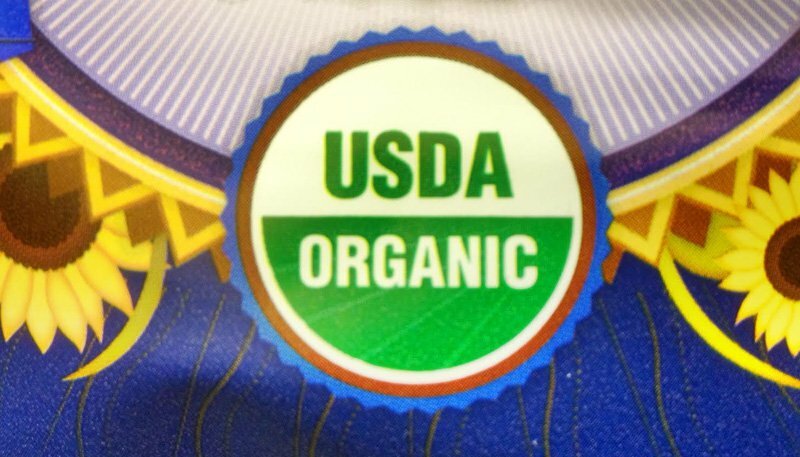 100% Organic—Foods bearing the USDA organic seal pictured above are made with 100% organic ingredients (salt and water are not included). Organic—These products contain at least 95–99% organic ingredients (by weight). The remaining ingredients are not available organically but have been approved by the National Organic Program. These products may display the USDA Organic seal. Made With Organic Ingredients—Food packaging that reads “Made With Organic Ingredients” must contain 70–94% organic ingredients. These products will not bear the USDA Organic seal; instead, they may list up to three ingredients on the front of the packaging. Other—Products with less than 70% organic ingredients may only list organic ingredients on the information panel of the packaging. These products will not bear the USDA Organic seal. Keep in mind that even if a producer is certified organic, the use of the USDA Organic label is voluntary.